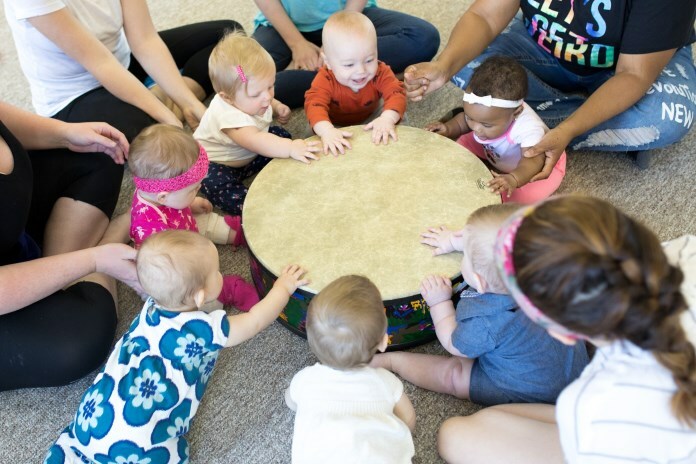 Music Together of Decatur - Schedule a Music Class for Your Baby! Schedule a Music Class for Your Baby! Did you know that babies are alert to the sounds of music before they are born? And they are primed to learn music in the same way they learn language: by immersion! Connect with your little one musically and bond with the other new parents in class, too. In this music class for babies under 8 months of age at the beginning of the session, you'll learn lots of new ways to connect musically with your little one and you’ll bond with the other new parents in class, too. Scroll down to schedule the first class of the session or click here to see a full schedule of classes and register.